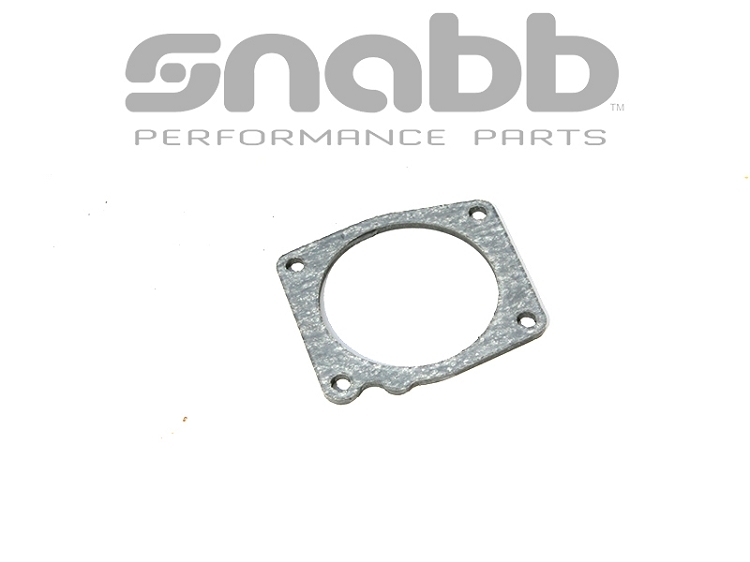 Snabb's throttle body spacer thermally isolates your throttle body from the heat of the intake manifold and adds intake plenum volume. Our spacer is made from heat resistant Aramid Fibers with a nitrile binder. This is a self sealing spacer/gasket with no additional gasket(s) needed! Snabb's exclusive spacer not only blocks conductive heat from the aluminum engine block but is resistant to heat, water, aliphatic hydrocarbons, oil and gasoline. It also has a very high tensile strength of 1500 psi. Our spacers have a very low thermal conductivity of 0.29-0.38 w/k*m (the thermal conductivity of aluminum is 250 w/k*m) which results in significantly less heat being directly conducted from the intake manifold which helps keep the throttle body cooler and may even help lengthen the life of the module.